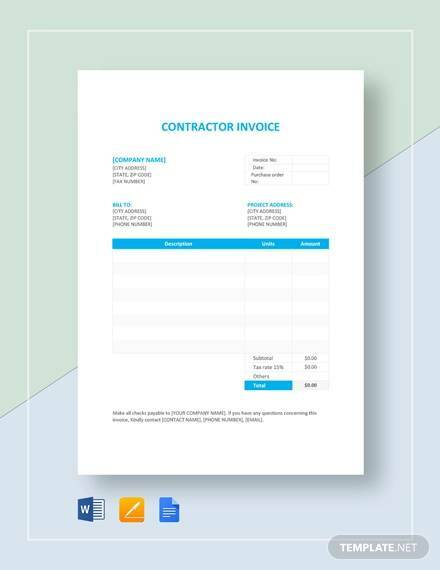 Our website’s invoice samples for contractors offer different examples that users who do contracting jobs may find helpful. These come with different examples that they can use with modification for their own specifications. Generally, invoices are tools of business that are used to list down services or purchases of goods. 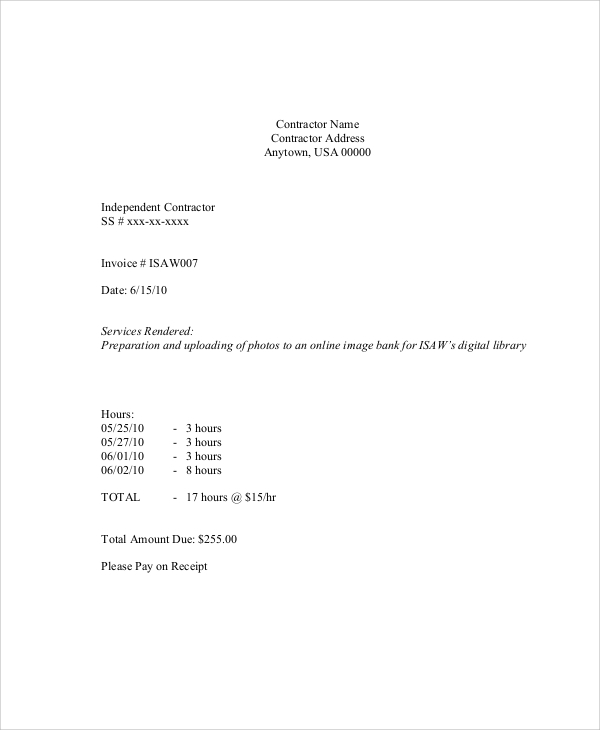 They are basically documents that detail the purchase or the services being provided and the payment terms with which the contractor issues to the client. 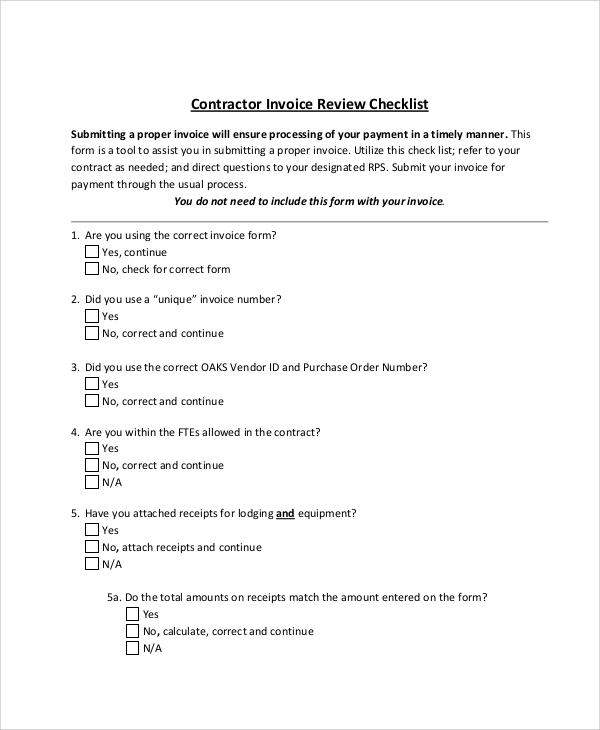 Our website’s contractor invoice samples provide spaces to list down or detail the kind of services being provided together with sample checklists that some clients provide to contractors. Usually found on the top left of the invoice. 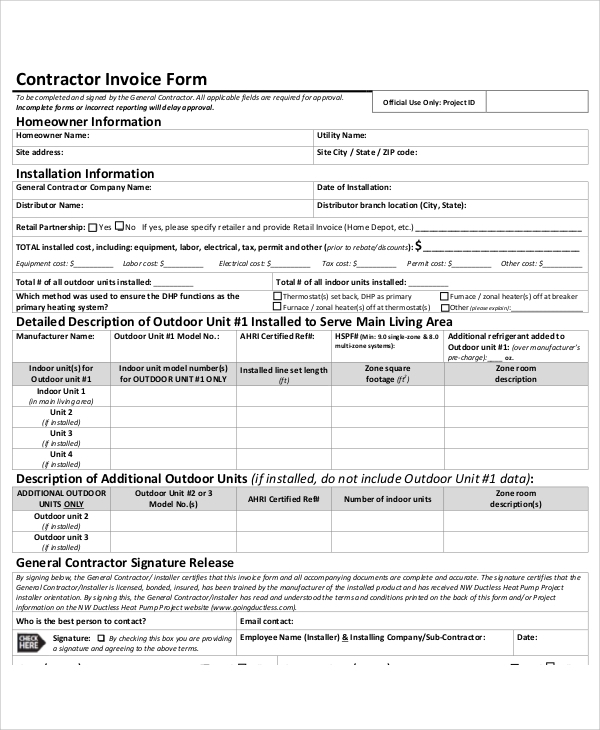 Depending on how many times the contractor has issued an invoice to clients, the number should correspond with the quantity of the invoices being issued. Usually starts with 001 for most invoices. 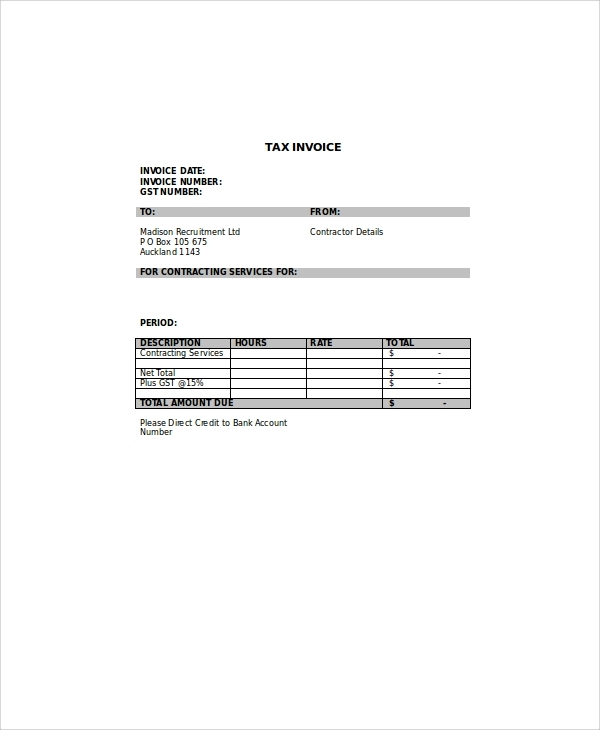 You may also see billing invoices. 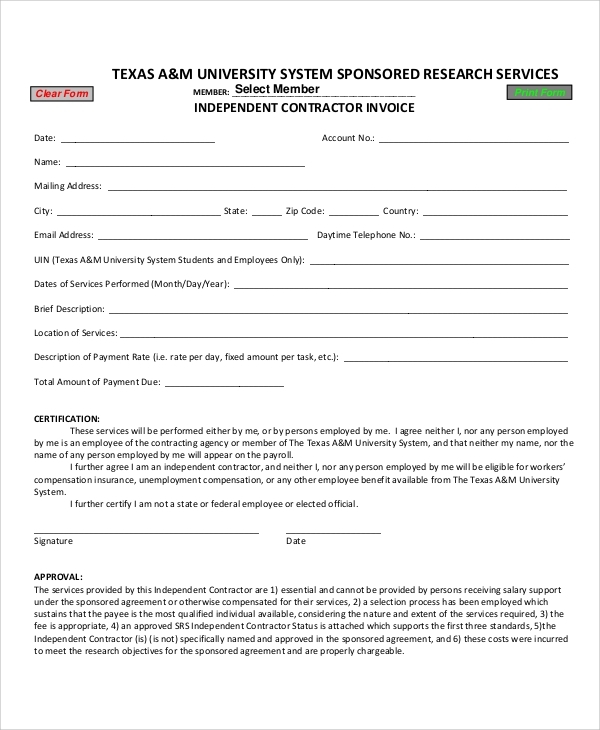 Contractor affixes his or signature to signify all information, accompanying documents, and details provided on the invoice are correct and accurate. 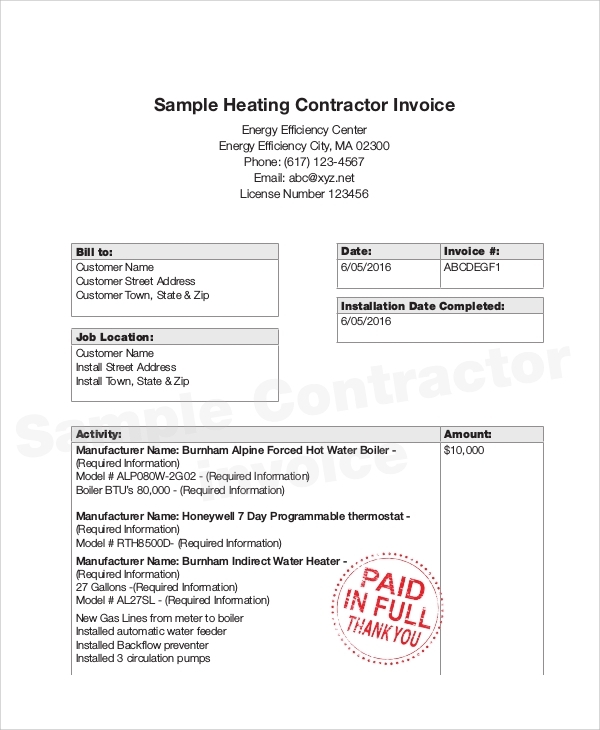 You may also see free contractor invoices. 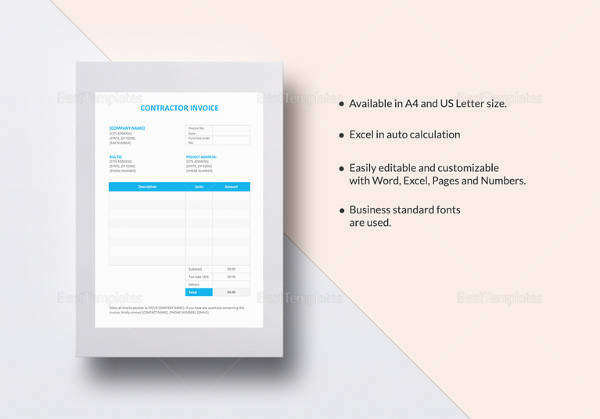 For other invoice samples, please check more on our website or click on the links for Free Invoice Samples and Generic Invoice Samples that are all free for downloading and can be modified or edited to user specifications. Keep in mind that being a contractor is not just all about collecting payments and issuing invoices. A contractor must be able to manage all site-based activities, ensuring that all contracts must be finished on time. With this aspect, it’s very important to collate the work done and make careful supervision on the different aspects of the project being worked on, otherwise miscommunication will result in the work not being made according to specifications. 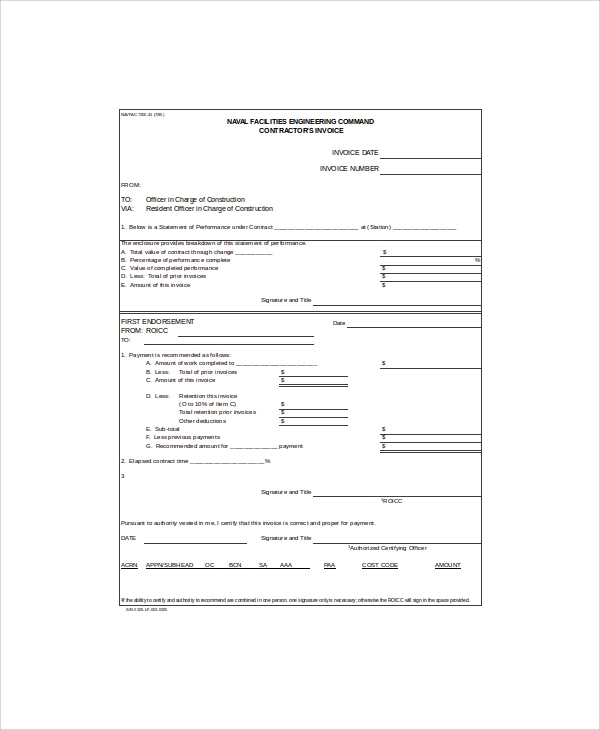 You may also see blank invoices. Budgetary considerations also need to be included due to the fact that some clients are not willing to put in more money than what is being estimated or specified in the contract. 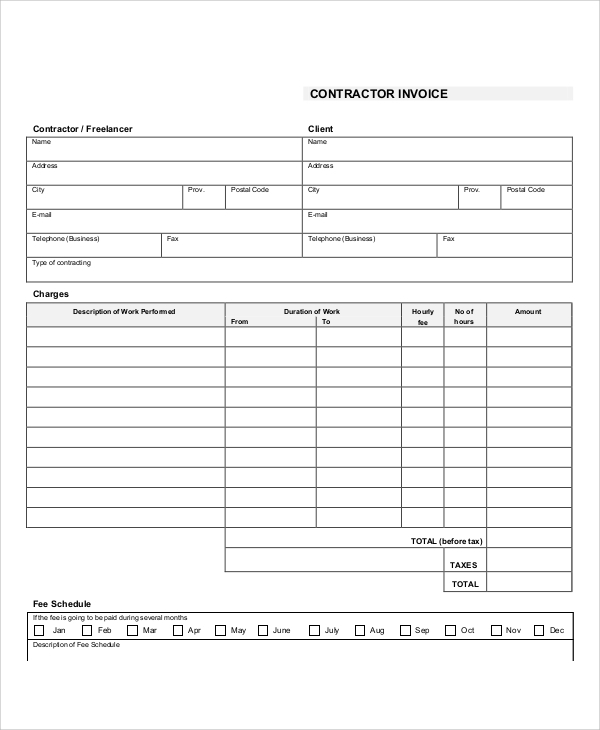 To maintain client satisfaction, the contractor must make sure that the work is within budgetary limits.You may also see it invoice templates. 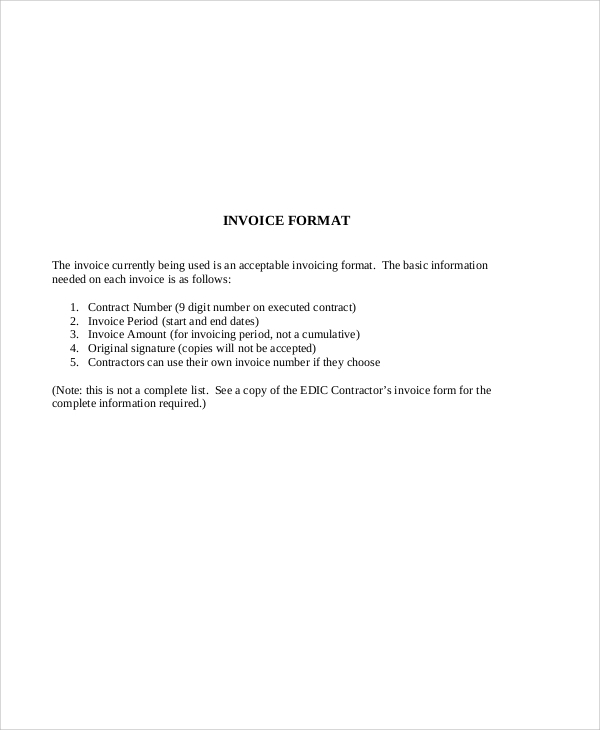 For more simplified, basic invoices, please check on our Simple Invoice Samples that you can use for all types of transactions. These are all free for downloading and can be modified for user specifications.